This blog entry is going to cover a few different topics and bring you up-to-date with what's going on at NECS and what you can expect in 2016. It's been a while since my last Blog entry, so I'm crowding a lot into this one. Our small company has been growing very quickly in the last few years and we've been adding more programmers and technical support staff to serve you better. We are now approaching 30 full time employees. We've also outgrown our current office location and are planning a move into a larger space by March 1st. We also are in the process of installing a new internal software system to help us manage technical support, billing and customer communications much better. 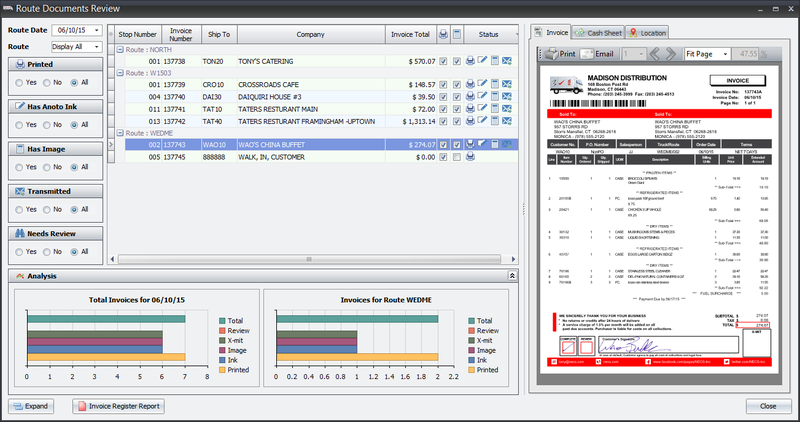 This is our new NECS Client Management System which I write about further down in this Blog. And because we have discontinued our backup service known as entrée.BAK, we are now introducing our Mozy Cloud Backup System. We are providing all Software Maintenance customers with 5GB of cloud storage of their entrée data for FREE. There is more information about this at the very end of this Blog entry. Adding the ability to create and track inventory in every Slot location in your warehouse(s) is a feature that customers have been requesting for a long time. And it's taken us a long time to research, talk to customers, investigate best practices, plan and begin our incorporation of a true WMS (Warehouse Management System) within entrée V4. 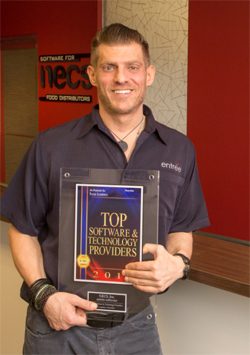 We believe that when completed and integrated for picking customer orders, putting away received inventory, movements of inventory back to established picking / reserved locations, Cycle Counting, etc., you will have system that other food distributors have paid into the six figures for which is tightly integrated into your entrée V4 system. The main objectives of warehouse slotting is to increase warehouse efficiency, reduce product handling and labor costs, and to maximize the use of your warehouse space. It also ultimately ties into FSMA (Food Safety Modernization Act) requirements regarding tracking item lot information for product recalls. As you are probably aware, our entrée software had only tracked a main warehouse location and a secondary location for each of your items. However this simply was not enough defined locations (Slots) for an item, especially as you consider the many overflow locations an item could be placed. While we were in the midst of creating our new Cycle Count feature in our EWM (Electronic Warehouse Manager) app, we quickly ran into a road block regarding Warehouse Slot locations. They were needed because all slots had to be accounted for along with their current inventory. But the current design of entrée only allowing a main and a secondary location was just not going to work. So we put the brakes on our Cycle Count feature and instead focused on addressing the slotting issue. At this time I'm very happy to provide you with an introduction into the new "Warehouse Section Maintenance" option on the new "Slotting" menu item off the Inventory menu. Our entrée V4 customers have noticed this starting in the 4.0.29 build of entrée and have been anxious to learn more. Note that this Blog entry is simply an introduction to our slotting features. We are working on a PDF document which will provide details about the specifics of Slotting and Warehouse Section Maintenance. We expect more information to be available as we complete the warehouse management features into entrée V4 during 2016. What is a Warehouse Section? When selecting "Warehouse Section Maintenance" , you will be able to define a "Section ID" and "Section Name". 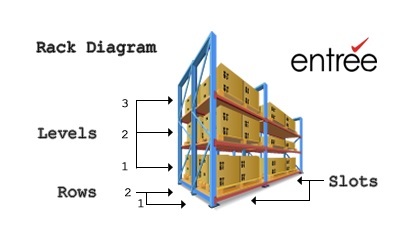 This allows you to define the layout of your warehouse(s) into entrée. Each unique area or section of your warehouse within a Temperature Zone (Dry, Frozen, Refrigerated, Cooler, Any) is defined here along with all of its Racks and Slot locations. What exactly is a Slot? You've most likely heard the saying "A place for everything and everything in its place" which really describes the idea behind warehouse slotting. A more accurate version for a food distributor would be: "An ideal place for everything and everything in the most efficient place". Picking Indicates the defined picking location for a specific item. This will be the Slot location which will always be replenished as it is the ideal location for the item. Reserved Defined location where a specific item is stored. Any other item not allowed in this slot location. Overflow Slot locations where a specific item or class can be defined to hold additional inventory once the Picking and Reserved locations are full. Staging Defined location where items can be stored before being loaded onto trucks for delivery or taken off trucks for received items. Processing Defined location where items are stored before becoming processed into another item. Chaotic Uses random assignment of item locations with similar temperature zone requirements to prevent the picking of incorrect items. This is a warehouse management technique pioneered by Amazon in it's million + sq ft warehouses. You can click here to read more about this WMS method. Note that this feature is not enabled at this time. 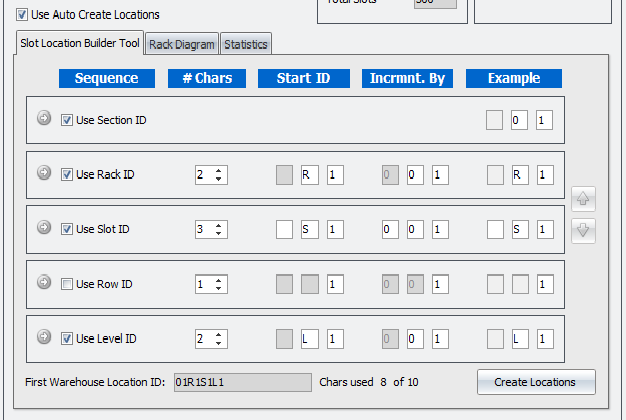 Slot locations can have their dimensions defined within their specific Rack. This includes the slot's height, width and depth, while entrée automatically calculates that slots Cubic Feet. Once defined the entrée system will understand if any storage space is available for a specific slot and if not, will assign the next available appropriate slot for any inventory overflow. 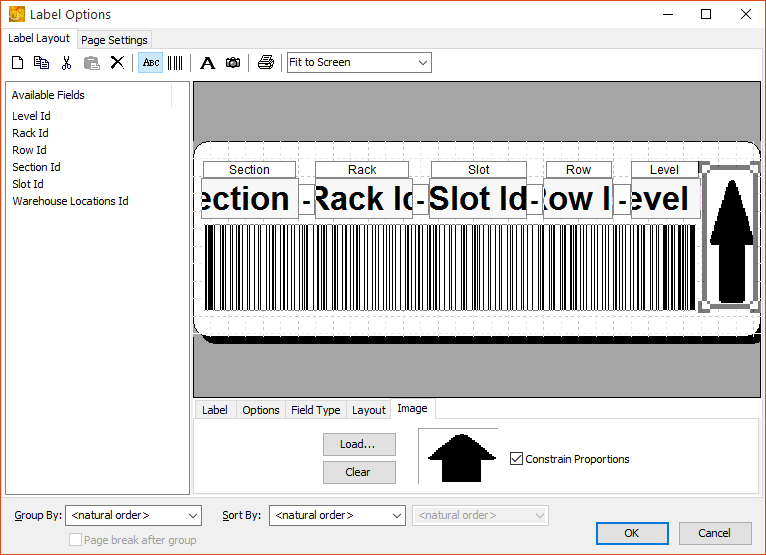 This tool located within the Warehouse Section Maintenance screen allows you to have entrée quickly create all the Racks and Slot locations within this Warehouse Section. Note that a Warehouse Slot Location can contain a total of 10 characters. 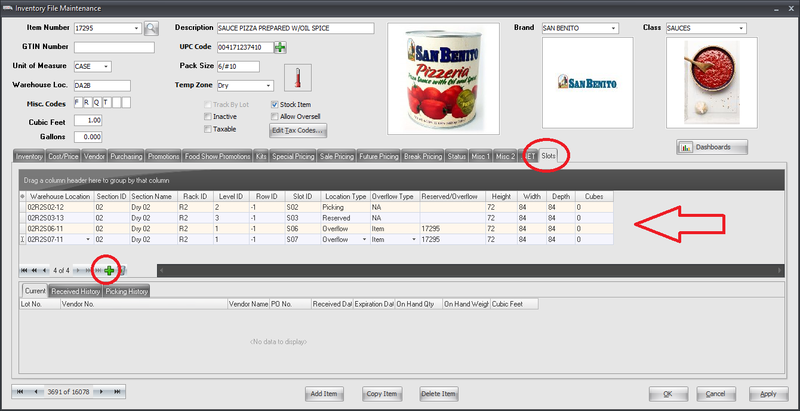 Because most food distributors use a specifc pattern of numbers or characters for a Warehouse Slot Location utilizing the Section ID, Rack ID, Slot ID, Row ID and Level ID, once this pattern is defined into entrée, an entire section of the warehouse with all its slots can be automatically created. This is a real time saver that entrée customers can use to expediate defining their many slot locations. Note that when you define your Warehouse Slot Locations for an item, the "Picking" Slot will override the current "Warehouse Location" (located in the top right section of Inventory File Maintenance) in a future version of entrée V4. For example, if you currently have the Warehouse Location printing on Invoices or Loading Sheets, a future version will instead use the "Picking" Slot if defined for that item. Also note that entrée will track a complete history of what was received into a Slot and what was picked out of a slot along with all the Lot information. At this point you might be wondering how you are going to control inventory properly with all these movements in and out of your Warehouse Slot Locations. The answer is going to be with our EWM (Electronic Warehouse Manager) Android app. Using a tablet with a barcode scanner will allow all these inventory movements to be recorded properly while it guides your warehouse crew during the picking, recieving, put away, movements or Cycle Count process. We are currently planning a version 2 of our EWM app to support all these new slotting features. It will also work "offline" and will not require you to be constantly in a WIFI zone to operate. It will also operate at a fast speed on a wider variety of Android tablets, rather than just the recommended Google Nexus tablet. You can purchase labels that are made from polyester and have a reflective surface for better scanning of the barcode. Labels with color are also a great way to help visually indentify the label layout. Why do you need these labels? First, they serve as an identification for the Warehouse Slot Location. The second reason is that each time there is inventory moving into a Warehouse Slot Location, the Slot Location Label must be scanned. This allows entrée to verify the location where the inventory movement took place for complete accuracy and accountability of your inventory. 1. Before pulling the items from the Slot, the warehouse worker must first scan the Slot Location Label. 2. When the Slot Location is confirmed as accurate for that item, the warehouse worker then scans the items being removed from that Slot Location. If there is a "License Plate" attached to the pallet (from the Receiving process), that will be scanned instead (items that are catch weights are scanned individually so that each weight being picked is recorded properly). More on "License Plates" further down. The same process is true for putting away inventory after receiving a Purchase Order as well as inventory movements to replenish Picking Slots, etc..
What is a "License Plate"? Just as your vehicles have license plates which serve to identify all the details about that vehicle by the number on the license plate, a "License Plate" in your warehouse is a special label which is affixed to the pallet during the Receiving process. These License Plate labels are simply a number up to 18 digits with a printed barcode which represents that number. These labels can be generated by the hundreds or thousands in advance but are not used until ready to affix to a recieved pallet. Here is an example of what a Pallet Label looks like using the worldwide approved GS1 style format. Note that these labels are also known as LPN labels or License Plate Number labels. Note that the "00" in parenthesis is the GS1 code for a shipping container, such as a pallet. When a pallet of inventory is received, the warehouse worker will affix the next License Plate Number (LPN) label available, normally in the lower, left section of the pallet or on the lower, left case on the pallet. Note that best practices for LPN labels say that two labels should be generated and the second label should be placed on the adjacent side of the pallet. The License Plate will then be scanned and then a record will be written to the entrée pallet database which assigns the scanned License Plate number to the item received, date received, purchase order received from, vendor received from, lot number received, current slot location, quantity received, weight received, quantity remaining and the weight remaining. Now anytime this License Plate is scanned, the entrée system will know all the details about that pallet, what item it contains, where it is located and the items remaining on the pallet. It's main purpose is to allow just the License Plate to be scanned when putting away or picking for a customer order, Cycle Counting, etc. - rather than every individual case being scanned. However when picking catch weight items or items that have a serial number in the barcode, you will most likely individually scan each of those to save the specific weights or serial numbers that the customer will be receiving. I believe that this should serve as a good introduction to our new Warehouse Location Section Maintenance, Slotting features and a little about how the inventory flow will work in your warehouse. We expect to have more features completed in 2016, so keep on the lookout for more announcements. As I often say, our best ideas come from our customers. The latest has come from a recent meeting where we were able to go over in depth our new entrée.PEN - Anoto Digital Pen interface with a group of long time customers. Everything about using the pens was impressive to all involved. However one item that they all agreed was missing for the drivers was an "Item Returns Sheet". This is important because your drivers usually deal with the customer regarding picking up items to be returned for credit. Organizing this process and saving time in the office was just as important as the Cash Collections. 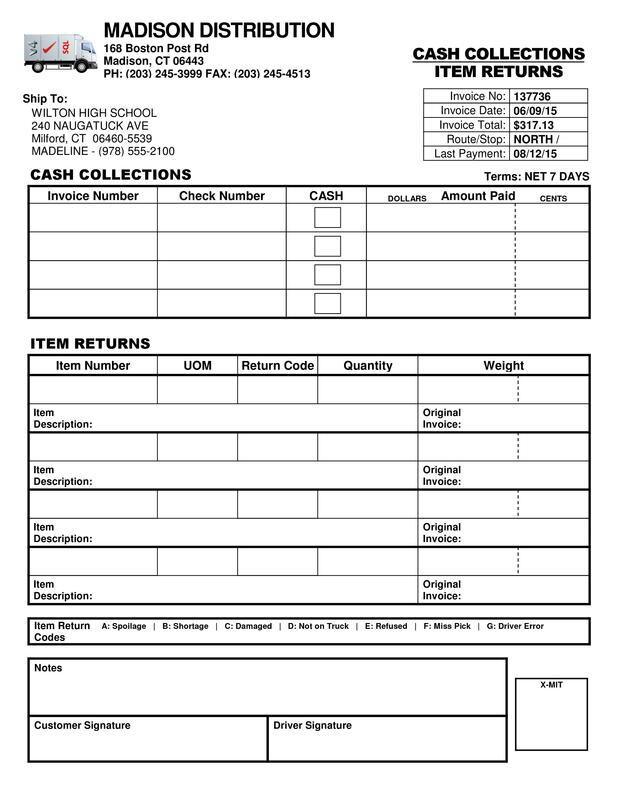 The new Item Returns section will ultimately create a Credit Memo from the information the driver writes which includes the Item Number, Unit of Measure, Return Code, Quantity, Weight, Item Description and the Original Invoice number (if known). The system uses the impressive character recognition of the Anoto Digital Pen to translate what the driver wrote into digital text. Later your office can review and approve these entries to make the creating of Credit Memos as fast and accurate as possible. It was pointed out that many of our customers use the "Return Authorization" form (created from the items on a Credit Memo) and will not allow the driver to pick up items for return unless they have been pre-authorized by your office. With this situation in mind, we will re-design the "Return Authorization" sheet to be used with the Anoto Digital Pen to expedite the process of returning pre-authorized items. Did you know that the Anoto Digital Pen software running on the drivers Android / iOS phone allows them to take a picture of the returned items and attach these pictures to the document? This was yet another "wow" response from our customers and we plan on including this ability as well. Note that we had also discussed the warehouse's accountability regarding item returns and had come up with plan using our EWM (Electronic Warehouse Manager) application for the warehouse to sign off on these returns. This would include the scanning of the barcode off the returned item (if existing) to verify all the details of the item including if it was actually purchased by the customer and when. By having the warehouse become accountable for item returns along with the driver, it helps eliminate the chances of theft and mistakes. Another suggested feature became the new Route Documents Review utility which is now a part of entrée V4. 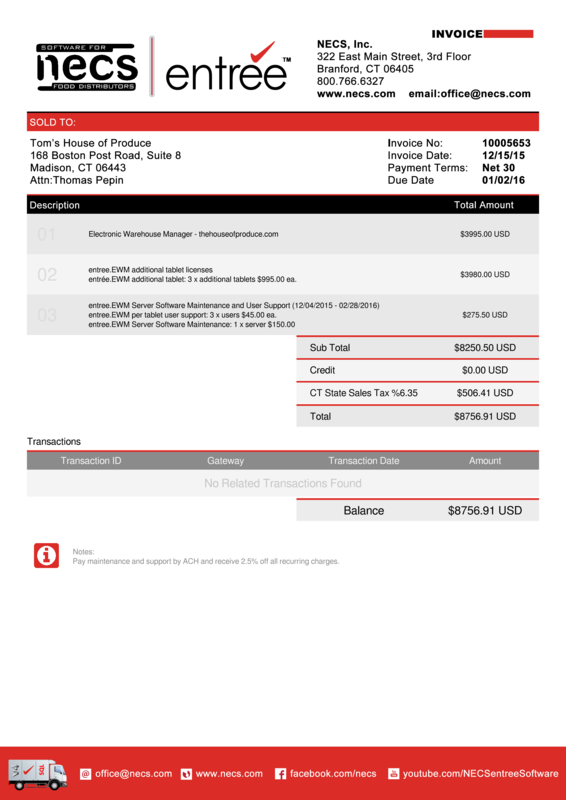 This new utility works with both Anoto Digital Pen invoice documents and invoices scanned with entrée.DOC. The main purpose of the Route Documents Review utility is to help you quickly and easily identify missing documents, either from your drivers using entrée.PEN, our Anoto Digital Pen interface, or from scanning documents and creating images with the entrée.DOC add-on module. You are provided with the status of every invoice on the route for the date with charts containing statistical information about the invoices and routes so you can easily reconcile each route. You can also easily email or print any of the documents from this utility. What's Happening at NECS in 2016? Our first big announcement is that we're moving to a bigger and much better location! After being at our current location for over 15 years, we've finally just outgrown it. We now have almost 30 employees and there simply isn't any room for expansion. We will be occupying the third floor which was newly rennovated and just perfect for our needs. It includes three large conference rooms which can be opened and turned into one very large room. This will give us more than enough space for our training events and even for large User Group Meetings. Our 800 phone number will remain the same. When we have our local and fax numbers determined, we will let you know. 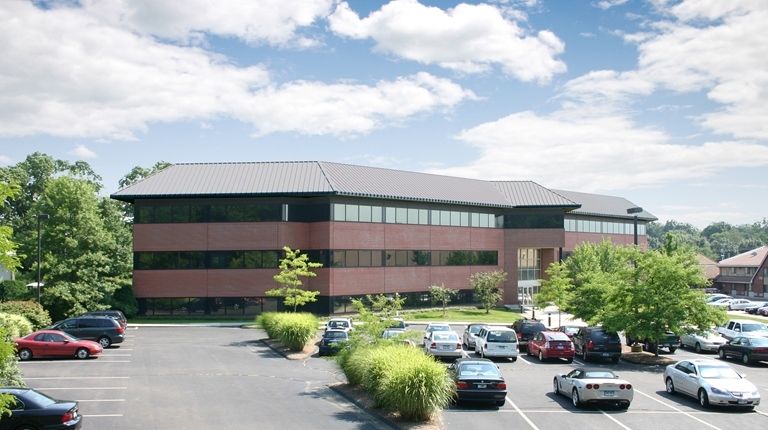 This office is located right off Exit 55 on Interstate 95, so it's very easy to find. We look forward to welcoming you here for our next training, User Group Meeting or other event! 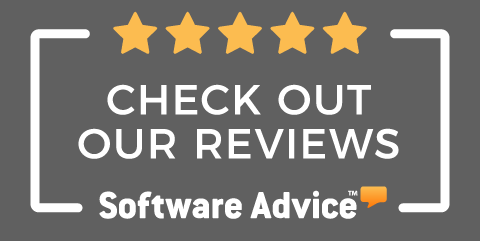 After many years of struggling with a home grown solution to manage technical support, software maintenance billing, entrée software updates, etc. we are now in the process of installing an impressive computer system designed for our industry. So just the same as you chose our entrée software because it was designed for the food distribution industry and covers your needs, we will soon be using a software solution designed for companies which are developers of specialized software. Also the Customer Support / Login section of our home page, www.necs.com, will have a new look with many new features. This includes not only downloading your updates, searching the knowledge bases and modifications catalog, opening and tracking your support tickets, etc. but also being able to maintain information about your company, including email addresses, credit card or ACH information for paying your invoices, view your payment and invoice history, etc. Important Note About the Proper Email Address for Invoices / Statements NECS Emails to Your Company: For many of our customers, we do not have the proper email addresses for those that are authorized to view and respond to invoices / statements we send. You can notify us of these proper email addresses at your company when filling out the Mozy Cloud Backup Option form as described next. Or simply send an email to office@necs.com with your company name and the appropriate email addresses. We have officially discontinued our entree.BAK service for offsite backup of your entree data. Instead we are now offering an extremely reliable cloud based backup option covering 5GB of data for FREE. This FREE offer is available for all Software Maintenance customers and it includes 90 days of backups always available for restoring. It's really a great addition to your Software Maintenance for the price and your peace of mind. Mozy was one of the first companies to provide a cloud based backup system and as a result have a very reliable backup and restore system. Even if you have a local backup system in place now, supplementing it with a cloud based option is very important for your precious data. One of the things that has prompted us to provide this to you is that recently we have seen the unfortunate circumstances of data being held at ransom by the Crypto Locker virus, failures of server hard drives/RAID arrays or other tragedies where data was lost; only to discover that our customer did not have a functioning backup system. If regular backups were made it would have saved the day and eliminated a crisis. The Mozy Cloud Backup System allows you to schedule automatic backups of your entree data throughout the day (with entree V4 SQL) without any interruption to your use of entree. Note that entree V3 users will only be able to do a daily backup after hours when users are not actively using entrée. Ready to get your cloud backup going? Click here to download the PDF form of Mozy Cloud Backup Options, fill it out and either email to: office@necs.com or fax to 203.245.4513. When we receive it, your technical support representative will get back to you to get this installed and operational on your system. Wishing You a Successful 2016!